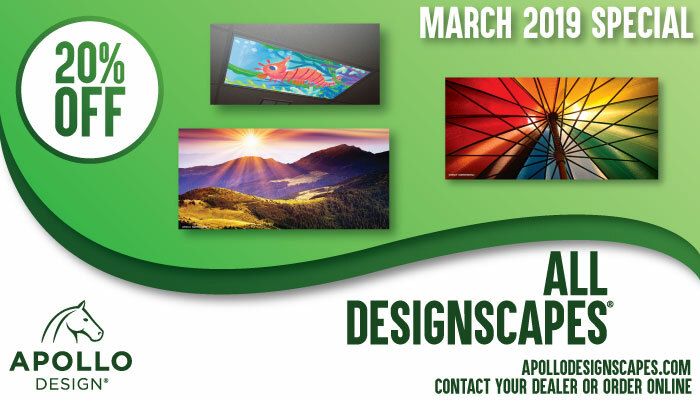 Apollo DesignScapes® are 20% off in March while supplies last. All POs must be dated March 2019. 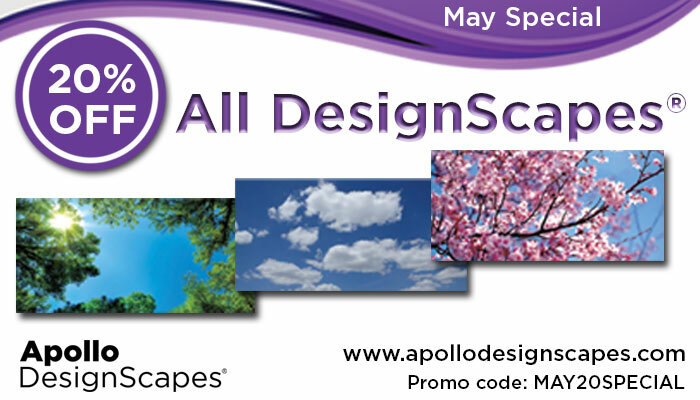 Visit www.apollodesignscapes.com to view 360+ standard scenics and solid DesignScapes® fluorescent light covers. Custom DesignScapes® are also available.